Green bean recipes for Thanksgiving don’t require anything canned. 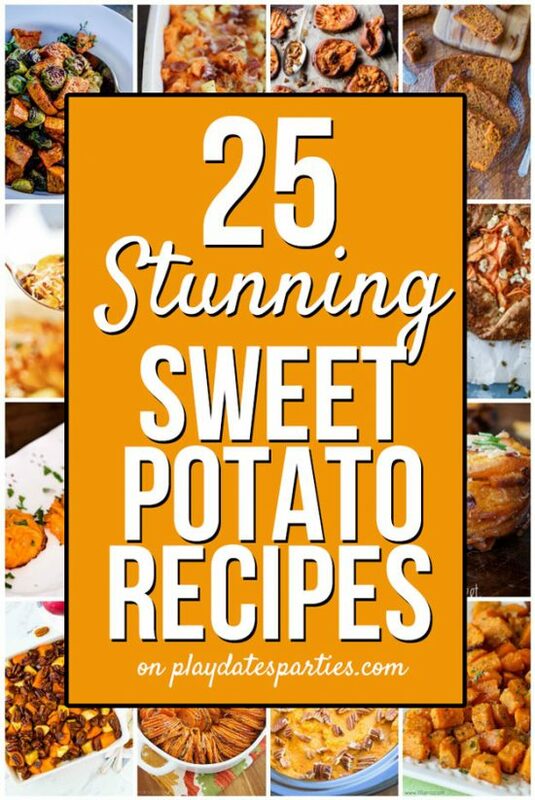 Here are 11 recipes that are delicious, easy, creative, and perfect for your holiday table! I could be wrong, but I’ve always considered green bean casserole to be a Southern thing. You see, although I grew up in Virginia, my family hails from the midwest. And Thanksgiving was one of the few times during the year that I saw my extended family. So I have almost no memories of the food that was served at Thanksgiving dinner…and mostly memories of running around with my cousins. And as a result, green bean casserole became a foreign idea to me. One that, to me, seems pretty horrid. The husband, however, is adamant that we have green bean casserole. Gooey, fried onion covered green bean casserole. This is also the man who drools over Wagyu and dry-aged beef cuts. The man who thinks nothing of spending hours in the kitchen on a Saturday or Sunday if it means a homemade gourmet meal. He wants green bean goop. I don’t ever remember ever having this stuff as a child; and I don’t get the attraction. But he apparently doesn’t feel like Thanksgiving will be right without it. If you’re with me on this, maybe we can work together to bring the taste of delicious, fresh green beans to the table this year. And I’ve found 11 incredible green bean recipes for Thanksgiving that have nothing to do with canned soup. Want to change things up? 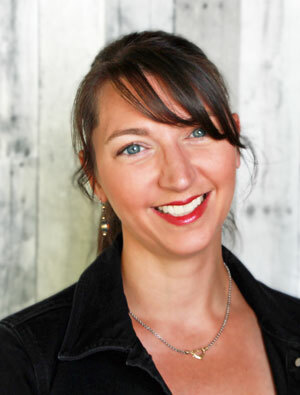 Try this recipe for Green Beans with warm Pistachio Vinaigrette by Simply Stacie. Pistachios are fantastic for the holiday season! 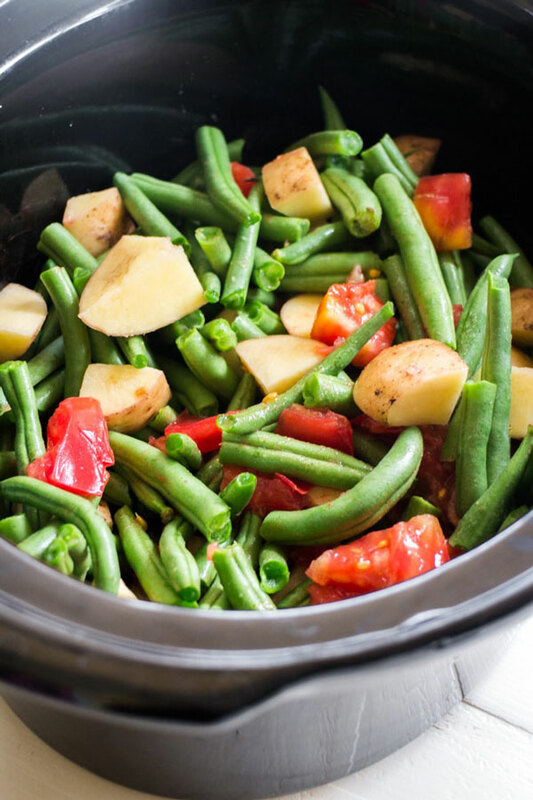 Nothing screams holidays like the combination of green and red, and Brooklyn Farm Girl pulled those festive colors together in a tasty make-ahead version of Green Beans and Tomatoes in the Slow Cooker! Look at that beautiful shine on this Green Bean Almondine recipe from Beyond the Chicken Coop. It just makes me want to gobble up the whole bunch. Roasted parmesan green beans by My Organized Chaos will surprise everyone at your table this Thanksgiving with an extra crunch and the salty punch from grated parmesan cheese. Then again, if you have some meat-loving family members you might want to try roasted green beans with bacon from Hungry Hobby. Because everything is made better with bacon, right? 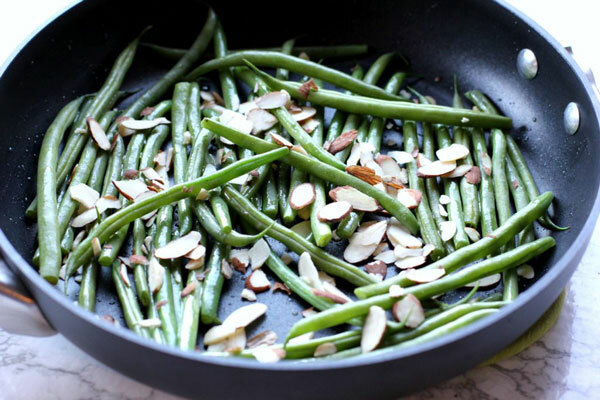 How about a ridiculously simple recipe for green beans almondine? 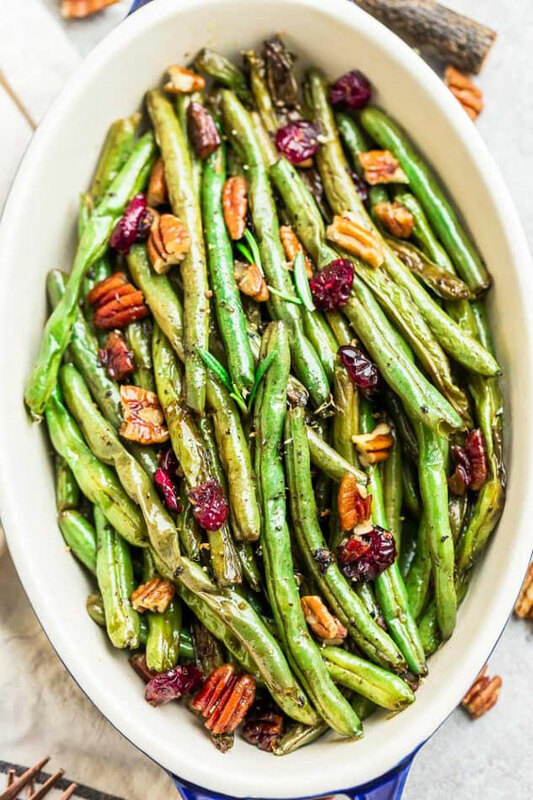 I Heart Vegetables is sharing her 10 minute green beans recipe that is the perfect way to compliment the flavor of fresh green beans and comes together in a snap. If bacon and green beans are a hit, you’ll definitely love the addition of garlic and feta cheese in Savory Tooth’s garlic green beans recipe. Tired of seeing almonds on your green beans? 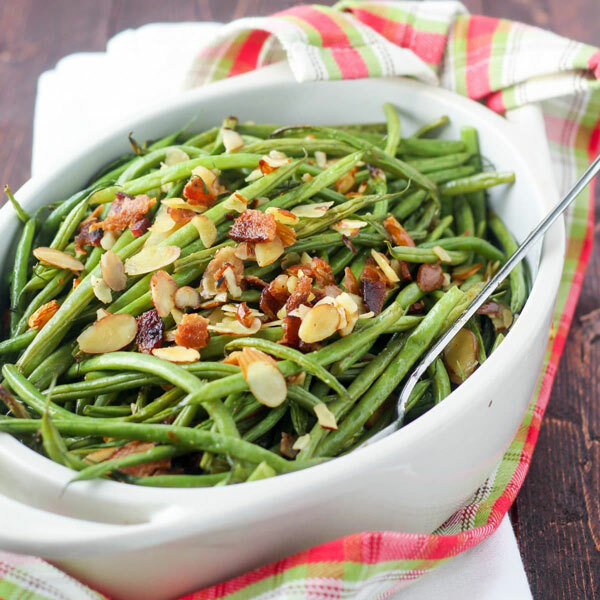 Try buttery green beans with glazed pecans by Swirls of Flavor. Yum! Want something really unique? 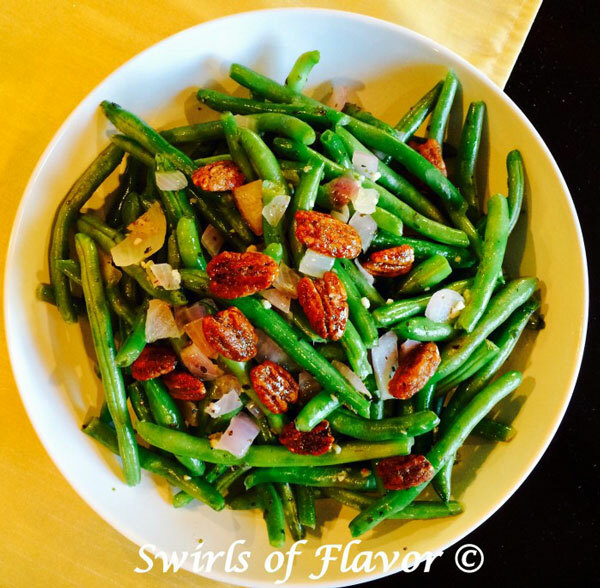 Try Orange Dijon Haricots Verts with crispy shallots from Garlic and Zest. I love the idea of combining sweet orange, zesty dijon and lightly sautéed crispy shallots on green beans. 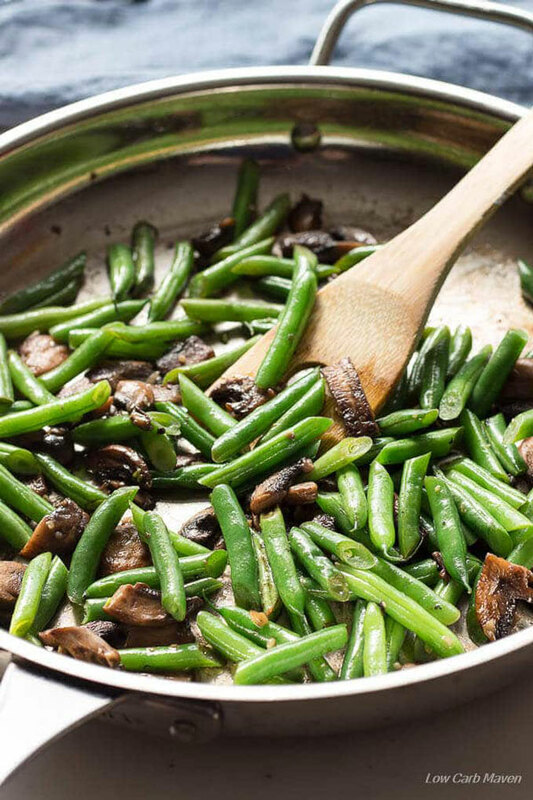 If you have family members who will balk at the thought of a green bean casserole free Thanksgiving, green bean mushroom sautée by Low Carb Maven is a great compromise. All that mushroomy flavor and no goop to go with it! 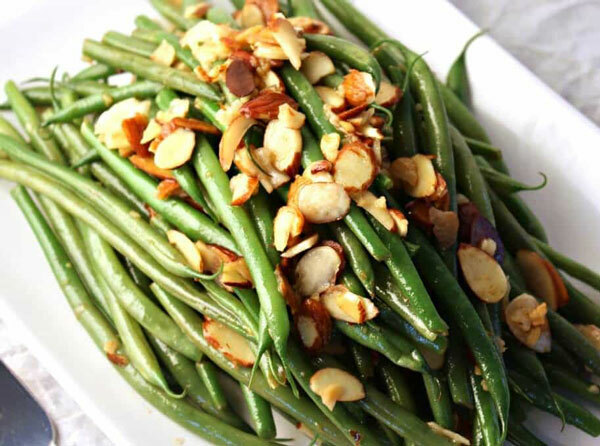 Finally, Life Made Sweeter pulls together all the delicious flavors of Thanksgiving with Roasted Green Beans with Garlic and Balsamic. Seriously, the thought of that sauce with dried cranberries and pecans just makes my heart sing! Save a few fresh herbs or some grated cheese to sprinkle on top of your green beans right before serving for that fresh-off-the-stove look. I’m a huge fan of classic French white Corningware. It may be old school, but the white casserole dishes are pretty enough to go with any decor, go straight from oven to table, and are easy to put straight in the fridge. Trying to manage multiple oven dishes at once? I put together a great list of Thanksgiving tips to keep you organized, and to keep all those goodies warm right until it’s time to serve. If you’re in the same boat I am, try making one or two of these green bean recipes for Thanksgiving this year. With so many creative options to choose from your guests may just be surprised to find they don’t miss the soupy casserole after all. Great post! I love green beans, so I’m gonna have to try a few of these beyond Thanksgiving. They look great. I saved it to m y Pineterst yay! I am glad to visit via the hop today.. I look forward to what you do next! Loving all these different green bean ideas. Found you on Blogger’s Pit Stop Link Party. These recipes definitely have put me in the mood for having green beans again — with or without a holiday . I’ve always hated that green bean casserole that seems to be traditional for some people. 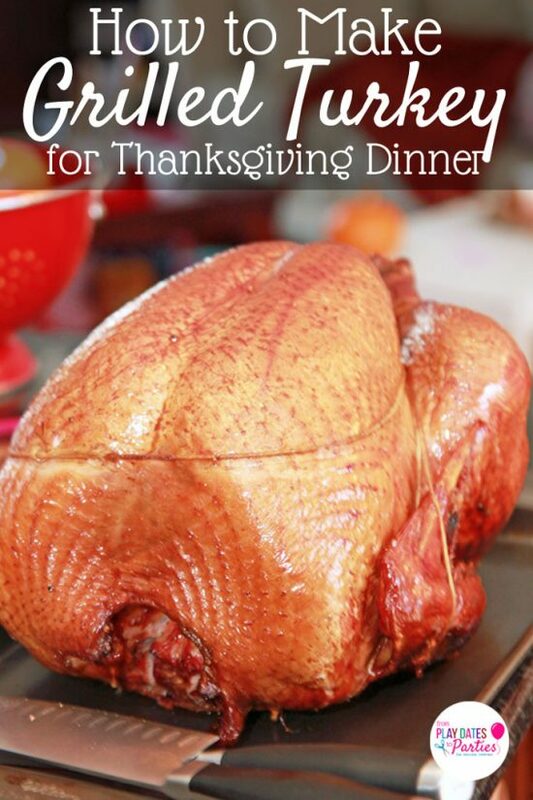 Great for Thanks giving. Liking this Fiesta Friday. Those orange dijon beans look amazing! Thanks for sharing at the What’s for Dinner party! Have a fabulous weekend and hope to see you back on Sunday! A favorite veggie and I am always looking for good ways to serve it. Thanks for all the choices – a couple recipes have caught my eye! Thanks for sharing with Fiesta Friday!!! A lot of interest in your wonderful green bean recipes from the Blogger’s Pit Stop. We will feature your post on the next Pit Stop. Well done. Thanks. I’m planning green beans for Thanksgiving and needed a good recipe. I’ll try one of these.